Premier League Focus: Can Ralph Hasenhüttl Mastermind Southampton's Survival? Premier League Focus: Can Ralph Hasenhüttl Mastermind Southampton’s Survival? Southampton’s 2-1 defeat at home to Cardiff City in their last Premier League fixture on February 9th felt like a season defining moment. Already embroiled in a relegation dogfight, a large chunk was bitten out of Southampton on their own patch by a fellow bottom-dwelling canine and direct competitor. It was the kind of result that can squeeze the last ounce of fight out of a struggling team, and with Southampton teetering on the precipice, Ralph Hasenhüttl faces a huge task to drag his players’ confidence off the floor ahead of their trip to Arsenal on Sunday. With 12 Premier League fixtures still to be played, time is certainly on the Austrian’s side. 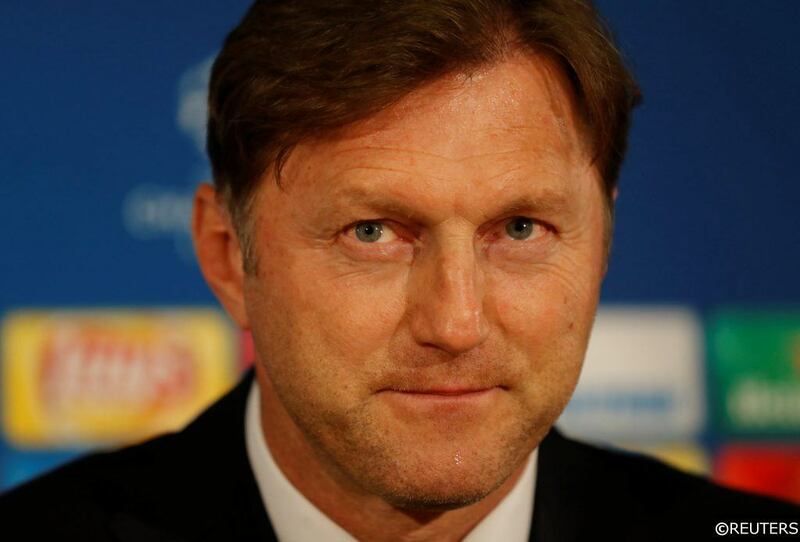 Can Hasenhüttl become the patron Saint of Lost Causes or are Southampton destined for the drop? When Ralph Hasenhüttl was drafted in to replace Mark Hughes as Southampton manager, the Saints were languishing in the relegation zone, 3rd from bottom and a single point from safety. Remarkably, despite seeing statistical improvements across the board in Hasenhüttl’s 11 Premier League games in charge, Southampton find themselves in the exact same rut they were in under Hughes from a positional perspective. The Saints are currently 3rd from bottom and one point behind the team just ahead of them in 17th, Cardiff City. A glance at the Premier League’s form guide makes Southampton’s static league position pre and post Hasenhüttl an incredibly difficult thing to fathom. Whether you look at a form table based around a 6, 10 or even 12 game span, Southampton can be found floating comfortably in mid-table. It’s clear then, that under Hasenhüttl, Southampton have been securing positive results for the most part. The Saints have lost just 4 of their 11 Premier League matches under the Austrian’s instruction, and their points per game average has jumped from 0.6 under Hughes to a much healthier 1.36 under Hasenhüttl. The trouble is, that many of their direct relegation rivals have been turning similar corners at the same time. In their last 12 league fixtures respectively, Newcastle have collected 13 points, Cardiff City 14 points, Southampton 15 and Burnley 18. Crucially during that period, Southampton took just 1 point from 9 in 3 fixtures against 2 of those clubs. Two defeats to Cardiff City in the first and most recent league games of Hasenhüttl’s tenure and a draw at Burnley was a dreadful return from a trio of vital games. A missed opportunity in the January Window? Southampton’s cause wasn’t helped by what was, quite frankly, a bizarre January Transfer Window. Instead of taking the opportunity to add quality in an attempt to strengthen their bid for survival, the Saints instead chose to restrict their dealings to outgoing transfers only. Already short of goals and attacking options, Southampton sold Italian striker Manolo Gabbiadini to Sampdoria, leaving the space vacated by the 27-year old unfilled. Long-serving Portuguese international right-back Cédric Soares was allowed to move to Inter Milan on loan with a view to a permanent transfer, while experienced midfielder Steven Davis and Dutch centre-half also left via loan moves to Rangers and Celta Vigo respectively. With rumours of incoming transfers abound, the Saints were linked with RB Leipzig captain Willi Orban, veteran centre-back Pepe, former Leicester striker Islam Slimani, Man City wonderkid Phil Foden and Brentford defender Chris Mepham among others, though the whispers never came close to to developing into anything more concrete. 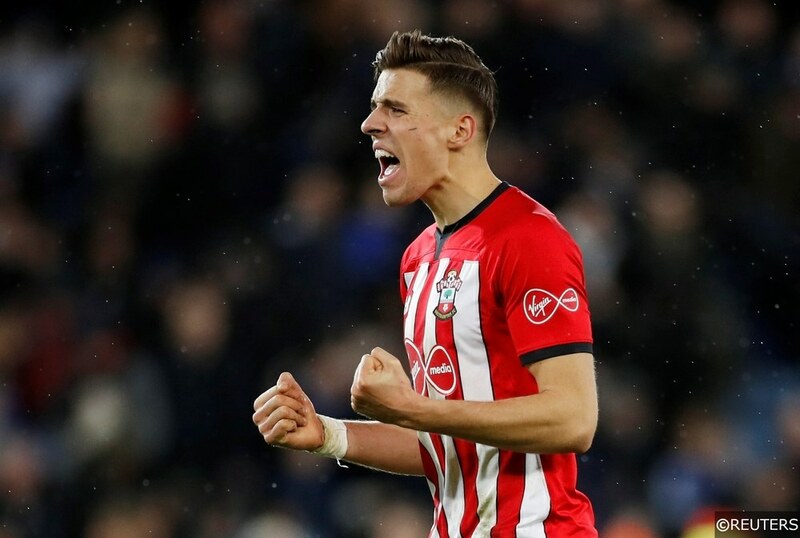 Ultimately, at the close of business on January 31st, Southampton’s squad was left looking weaker and considerably more threadbare than it had on the first of the month. Despite having some criticism aimed in his direction from sections of the Southampton support for his apparent over-defensive inclinations and strange substitutions, Ralph Hasenhüttl has generally been squeezing a substantial amount out of one of the Premier League’s weakest looking squads. If Hasenhüttl can find a way to maintain the admirable 1.36 points per game average he has hit so far as Saints’ manager, Southampton would add approximately 16 points to their current total from their last 12 Premier League fixtures. With 24 points already in the bank, that would take the Saints to the often-cited magic 40-point mark – a total that was good enough to keep teams up in all but 3 of the Premier League’s 27 seasons (West Ham were relegated with 42 points in 2002/03, Bolton with 40 points in 1997/98 and Sunderland with 40 the season before in 1996/97). 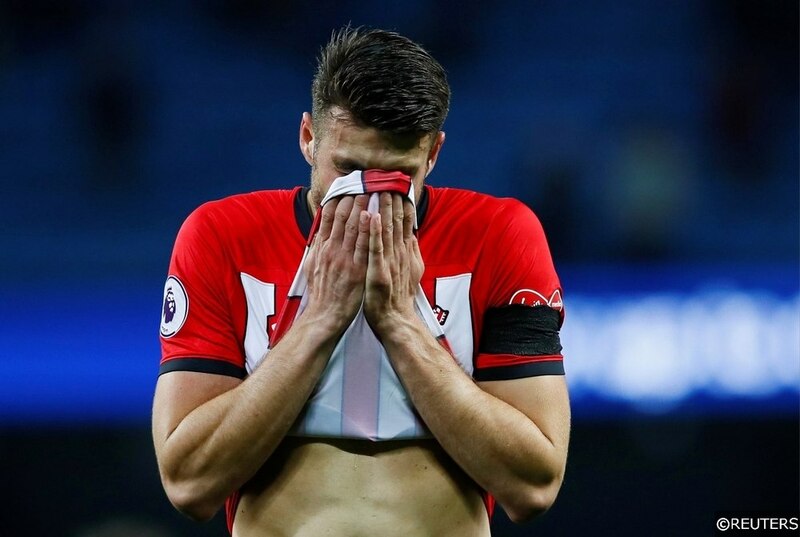 Even though the Saints’ 1-2 loss to Cardiff City two weeks ago felt like a hammer blow delivered by a prime antagonist, a look at Southampton’s remaining fixtures should help to buoy Saints’ fans survival-hopes a little. Beyond their tough home games against Tottenham and Liverpool, and the Saints’ daunting away trips to Arsenal and Manchester United, there are numerous matches that look like possible points harvesters for Southampton. Games at St. Mary’s against Fulham, Wolves, Bournemouth and Huddersfield as well as visits to Watford, Brighton, Newcastle and West Ham are not easy by any stretch, though Hasenhüttl has already proven his ability to extract points from tricky Premier League fixtures. There is enough potential in that sequence of fixtures to suggest that Southampton can accumulate enough points to claw their way back over Cardiff City to safety. Keep up to date with all of our latest Premier League match previews, predictions and betting tips here. Categories: Blog, Football, and Premier League. Tags: Premier League Analysis, Premier League focus, Premier League special, Ralph Hasenhüttl, and Southampton. Team Tag: Southamptom. League: England Premier League. Sports: Football.